The 12 Days of Christmas (Gifts, that is!) Updated to Include Gifts for Fur Babies! Thanksgiving was truly wonderful this year, wasn’t it? Well, except, perhaps for those political conversations, however, once the turkey has been sliced and frozen to make meals for the next few weeks, it’s only natural that you start thinking about Christmas and that perfect present for your family, friends, and co-workers. There is no doubt that gift cards have been quite popular in the past decade or so, but they can seem so impersonal. Everyone loves giving (and receiving!) gifts that they can actually use, no just put on a shelf. Yes, socks and underwear are something everyone uses, but the excitement level of opening a big box of socks leaves something to be desired, right? Home-made gifts are always appreciated, but let’s face it, who has the time to make 50 gifts by hand? We put together a list of 12 cool, yet useful gifts that should suit just about everyone our list. No matter what your budget is, no matter if you are looking for something for grandpa, your boss, or your daughter, we are certain that you will find something on this list that everyone can enjoy. You can find all of these on Amazon for a great price. It doesn’t matter how macho or cool someone might be, they are going to enjoy beautiful scents. Everyone has a favorite! 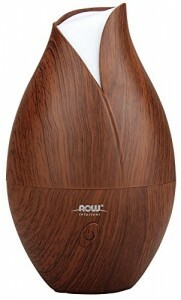 Whether it is a woodland, fruits, perfume, or flowers, you can scent any room anytime with this long lasting essential oil diffuser. The natural wood look not only goes with any décor, it has 7 mood changing lights to match your setting, day or night. Just in case you have no idea what type of scent someone might enjoy, this sampler set is the perfect place to start. This set of 6 bottles from KIS oils has the most popular selling scents, including peppermint, lavender, sweet orange, lemongrass, tea tree, and eucalyptus. KIS oils are 100 percent pure, therapeutic grade oils, so you can feel good about giving these (or using them!) There are other scents available, but consider this set the perfect stocking stuffer for just about everyone on your list! If you or someone you love suffers from SAD, you would be doing them a favor by giving them this super helpful gift. This lamp is completely portable and it imitates natural sunlight without the harmful effects of UV light. Studies have shown that regular use of this lamp can naturally rebalance the body’s clock. 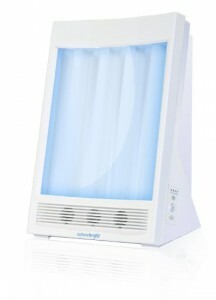 Other studies show that Ion light provides a natural antidepressant effect within days. This lamp could literally be a life saving device. If you have ever had to sleep in a noisy hotel or apartment building, you know how difficult it can be to block out those annoying sounds! 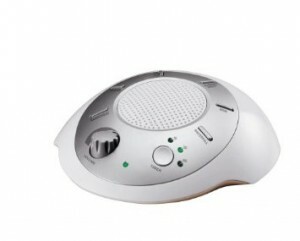 Earplugs can help, but for a few more bucks, you can sleep or relax in complete comfort by using this white noise machine. We want to admit that we have one and it works amazingly well! This device has 6 digitally recorded sounds, such as rain, summer night, or ocean waves, which mask those unwanted noises. Works on batteries or the power cord and comes with a timer. Once you use this, you will never want to be without one! New parents or those with toddlers will find this the perfect gift! 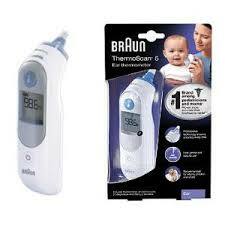 Braun is the best-selling thermometer in America, so you know it works! Gives parents both a visual and audible cue so you know when it is in the correct position. No more sticking a thermometer under the arm or up the…well, you know, to get an accurate reading on your baby’s temperature. Includes batteries, lens filters, and its own protective case, so you can store it safely. This terrific gift reads in both Fahrenheit and Celsius for those who live in other countries. This is a sure fire winner of a gift that will last for years! Ok, when we saw these, we just had to try them for ourselves and we have to say that they were everything you want and more. Made from 100% natural sponge, these are eco-friendly. 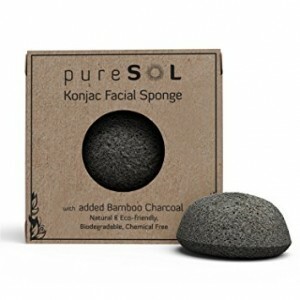 Konjac sponges are impregnated with turmeric, real activated charcoal, or green tea for improved skin texture and deep pore cleansing. Each sponge comes with its own suction cup, so you can hang it out of the way and allow it to dry. Anyone who wants beautifully clear skin, naturally, will appreciate these terrific sponges. If you have 25 or 30 co-workers, you might be wondering how you can afford to buy them all something that doesn’t look like it came from the dollar store. We have the answer for you! 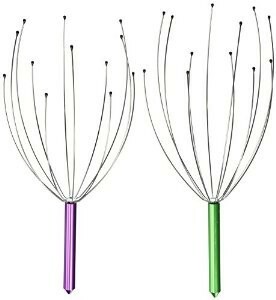 These hand held scalp massagers come in a package of two, with a variety of colors, for a super low price. These may look a bit funny, but they really work! In a few minutes, you can lower blood pressure and reduce stress. Small enough to tuck in a stocking or put in your purse, we bet you keep one of these for yourself! Who doesn’t want cleaner air in their home, baby’s room, or office? The Germ Guardian uses a true HEPA filter, which means it removes 99.97% of the mold, dust, pet dander, and pollen from the air. In addition to the filter, it uses a UV-C light, which works in combination with a titanium dioxide core to kill mold spores, bacteria, and viruses. Imagine putting one of these in your home before your annual Christmas or New Year’s party? No more shared germs! Available in 22 or 28 inch height, this has only one filter which needs to be replaced twice a year, so it’s economical as well. What more could you ask for?! If you have never used one of these, you don’t know what you are missing! We bought one of these last year, and our family actually has to use a timer so no one hogs it all the time! We are buying another one this year! 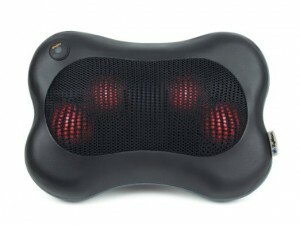 This is terrific for the neck, calf, or even the upper or lower back. The heat option is super soothing. Buy two, we guarantee you will want one for yourself. Although this is designed for kids, we bet mom likes it too. It’s rated to300 lbs., so adults can use it, providing your hands fit! Lightweight and safe, this hangs in your standard doorway so kids can swing, use a trapeze bar, and climb to their hearts content. For those with active kids (aged 3 to 12) this can be a real lifesaver on a rainy or snowy day. We have linked to the deluxe set, but there is a more inexpensive set available if you prefer, which has the top 4 items kids love. For the chef in your house, this item is a sure fire winner. This multi-functional pot features 6 in 1 cooking. It can be used as a slow cooker, rice cooker, steamer, and pressure cooker, warmer or use it for browning or sauté your favorite foods. 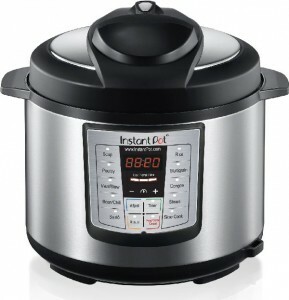 The Instant Pot has 10 built in smart programs, and 3 adjustable cooking levels, as well as a delay timer and built in cooking timer. This is a delightful 6 Quart pressure cooker made from stainless steel, which makes clean up easy. 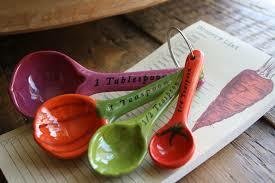 You can be sure that your favorite chef will be happy when they find this under the tree! Here is a gift that every new mother needs! This 100% all natural rubber teether is easy for babies to hold to. 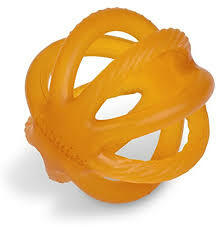 Many mothers report that babies like to play with this, even when they are no longer teething! Contains no dangerous BPA, PVC, Phythalates, or Parabens. Environmentally sound, this product is designed and packaged in the USA. For the mother who has everything, this can be a super useful gift that doesn’t cost a fortune. And since someone reminded us that we forgot to include gifts for all the fur babies out there, we just had to add a few to the list. Cats just adore hiding in stuff, especially cardboard boxes. 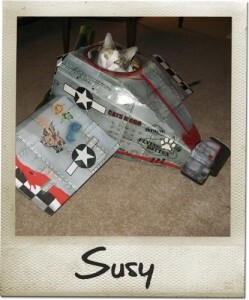 Why use a plain old box, however, when your kitty can be a pilot or a fireman? There are several themes to choose from. We love looking at the pictures people have sent of their own cats using these cute boxes. Hey, best of all, no taping or stapling, each box simply folds and uses tabs to stay together, which means you can take it apart, put it away for a couple weeks, then re-assemble and kitty will think he has a new toy again! If your dog is a fetching fool (aren’t they all?) then you will want to entertain both you and your dog with a Moody Pet Chomp dog toy! 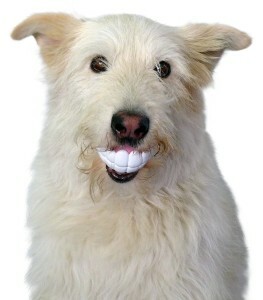 Hilarious pictures are sure to follow when Fido’s ball looks like human teeth! Lastly, if you are the proud owner of a ferret, you know how much they love to run, jump, and hide. This Marshall Ball Pit is designed just for your funny ferret. 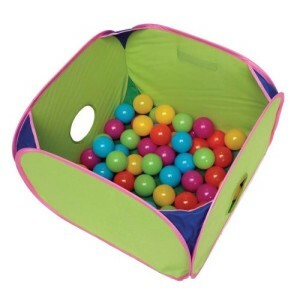 Both of you will have tons of fun with this ball pit! Who needs to go outside when there is this much fun inside! Comes with 35 balls, but you can buy more separately if you like. 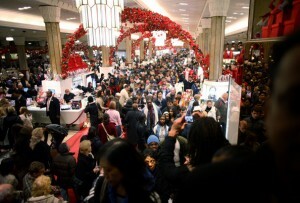 Avoid the craziness the shopping malls, the crowds, long lines, and general exhaustion that can happen from walking or driving between stores. Order online and let your shopping come to you! Who doesn’t love “The Night Before Christmas” poem? That infamous poem, penned in 1823, has probably had more kids hanging up stockings in front of the fire place than any other tale. 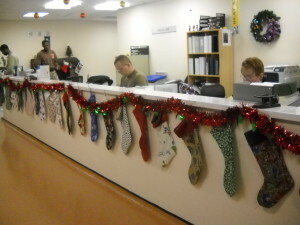 Today, many of us use “stockings” (or mailboxes) at work to deliver small presents to friends, while those of us with little ones still need to find gifts or treats to fill those stockings like Santa would have liked us to do. But let’s face it; our kids eat too much candy as it is and if you hit the dollar stores for friends or co-workers, they will probably find out and then you come off as cheap skate. That’s why we have created a list of stocking stuffers that you can feel good about. 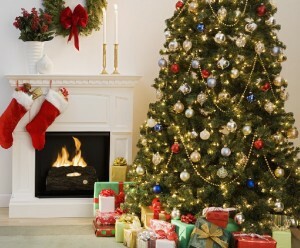 Keep reading and see if these ideas don’t ring your jingle bells! Forget the gift cards that are oh so impersonal, think experiences. You can make up your own “gift card” and offer an “outing of your choice with me”. Or you could purchase (or promise to purchase if dates are questionable) tickets to the movies, an amusement park, or a place that your recipient really, really loves. Little ones might enjoy “tickets” for a trip to the zoo, their favorite ice cream parlor, or a “pick your own” movie night at home with their favorite homemade treat. 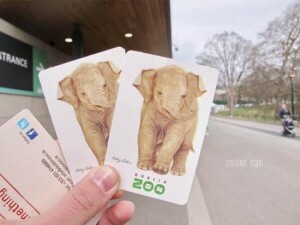 The possibilities here are endless, so get creative and make your own “experience” card. Gifts are often forgotten, but an experience is something that is always treasured. There is always something that someone actually needs or will use. Another bottle of perfume for mom will probably sit on her dresser, along with the ones she received for Mother’s day, Valentine’s Day, and her birthday, for years to come. But how about a kitchen or gardening tools that she will actually use? We can think of a dozen other things that we never seem to have enough of, including mittens, hats, gloves, scarves, fuzzy socks, super warm socks, ear buds, subway tokens, reading glasses in a pretty case, playing cards, card games, nail polish, emery boards, pretty nail clippers, and hair accessories, just to name a few! These are always fun and some people are so creative! Think of the person you want to buy for; what are their favorite hobbies? Interests? Snacks? Upcoming events? Everyone loves something; all you need to do is think about it and build a stocking around that theme. This might be someone who loves to cook. You could add silicone pot holders or other silicone cooking items, cute egg timers, cookie cutters, spices in pretty bottles, and a tiny handmade book of awesome recipes. If the person you are thinking of is more of a “camping and adventure” type, you could put a compass, flashlight, beef jerky, foldable hat, and a set of mini binoculars. Everyone loves to pamper themselves every now and then. Why not add a few things that they might never buy for themselves? 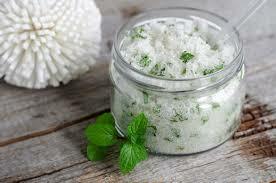 Think about items like super scented body washes or body scrubs, facial scrubs, therapeutic foot scrubs or body butter? Don’t forget to add everyone’s favorite essential oil or incense for a gift that everyone loves. Ladies, most men won’t ask, so why not put some manly scented soaps, shaving lotions, and even cologne in their stockings? For the people in your life who are into fitness, there are tons of options. You can pay for a mobile phone app and put a handmade card telling them how to activate it. There is also a wireless activity tracker by FitBit called FitBit Zip, that keeps track of steps taken, calories burned, and distance travelled. This info is then sent to their smartphone. And for those friends who exercise, even in cold weather, Zippo makes a cute little metal hand warmer. 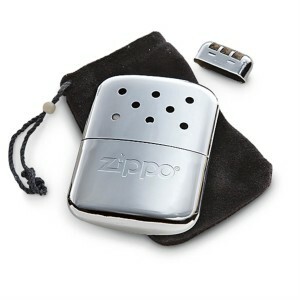 It looks like those infamous Zippo lighters, but it simply stays toasty warm, for as long as 12 hours! We bet you buy one of these for yourself! Some people just love stuff that is a little bit offbeat. 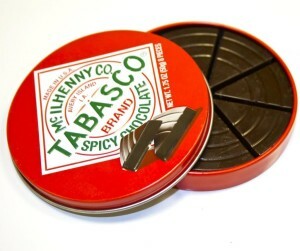 Try spicing up a friend’s life with a round disc of decadent dark chocolate, flavored with a tangy bit of Tabasco! You can find this on Amazon and it’s less than $10! For the teacher in your child’s life, try a set of Smencils. These are a 10 pack of gourmet scented pencils that keep their scent for as long as 2 years! Anyone who loves wine can never have enough corkscrews. Check out the retro-looking Hootch-Owl Corkscrew. It’s cute and functional at the same time! Toasta Bags are for those who like food such as bagels, left over pizza, or peanut butter and jelly sandwiches toasted, but don’t own a toaster oven. Simply put the food in the bag and put it in any toaster! No dripping gunk in the toaster ever again! Great for office gifts! These are complexly washable and reusable, which makes it an Eco friendly gift as well. For the overgrown kid in your life, like grandpa (? ), The Magic Wand Remote Control makes changing channels or turning the TV off and on a fun adventure. This would also be perfect for the future magician in the house. 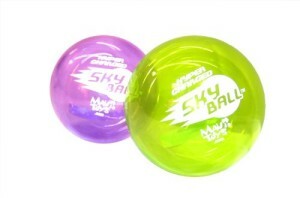 For the family that likes to play together, Skyball will take their games to a whole new level. These are helium filled balls that go as high as 75 feet in the air! Fido will never get hold of these beauties! The Garlic Rocker. 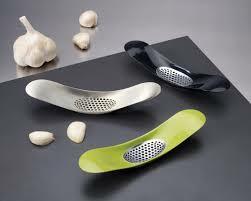 This little beauty makes mincing garlic fund and easy. Whisky Stones are a great way to cool drinks without watering them down with ice. Although they are called Whiskey Stones, you can use them in any beverage. If your giftee is a coffee fan, the Aerolatte Milk Frother is an easy way to mix drinks and frothe milk quickly and easily. And who doesn’t enjoy a cup of tea now and then? The Eva Solo Tea Bag isn’t actually a bag, but rather a stainless steel container that looks like a tea bag, so you can brew the perfect cup of tea from loose tea leaves or herbs. Tweens can be especially hard to buy for as they aren’t really children, but they aren’t exactly ready for a new car! Hickies Shoelaces are a fun and futuristic way to lace up any pair of tennis shoes. These elastic laces tighten and loosen automatically, depending on movement. 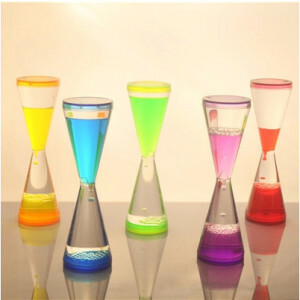 These come in bright colors that tweens are sure to love. Shower Squids can be enjoyed by tweens or mom’s with little ones. Each “squid” has nine adjustable ties which can hold shampoo bottles, soap, or what-have-you. Think of it as an extra pair of hands in the shower. For those with young children, Cowboy Baby Socks are a super cute idea. Each pair of socks looks like a miniature pair of cowboy boots! And for those with elementary aged children, Fanciful Bird Wings are the answer for those who are tired of the same old super hero capes. These are lightweight, beautifully sheer “wings’ that attach with straps and finer tabs so children can “fly” away to their hearts content. Some people are so difficult to buy for because they only want the best or unique things in life. Well, take a look at the following items because one of them is sure to appeal to even the most finicky person on your stocking stuffer list. E-Tip gloves by North Face are the perfect answer for those who want a really superb pair of gloves, but need their fingers free to use their cell phone or tablet. There is no need to remove these gloves, as the fingertips are specially coated to work with touch screens. There really is no comparing the Diptyque Candle, no matter how hard you try. These candles are super high quality and have unique scents such as Bulgarian roses or blackberry/currant leaves. We bet once you smell one, you buy one for yourself. 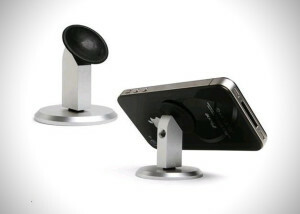 Last, but not least, for the cell phone super fan, you can’t go wrong with The Oona Stand. Unlike most of the $5 stands on the market today that falls over if you breathe on them, The Oona Stand is completely adjustable for any surface and it really, really stays put. Of course, this list isn’t all inclusive. 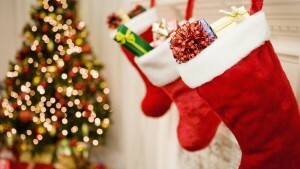 Do you have any stocking stuffer suggestions that worked well for you or that you wish someone would buy for your stocking? 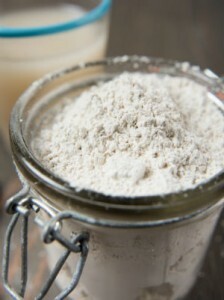 You might have heard plenty about using clay to help deep cleanse your skin, or using different types of mud, but have you heard about diatomaceous earth? This is a simply amazing, completely natural substance that few people know about. 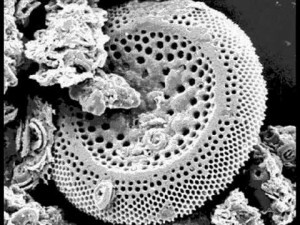 Diatomaceous earth is actually a type of fossilized phytoplankton skeletons. 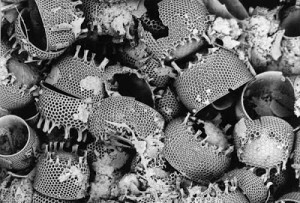 This plankton is then ground into a powder form. The above picture is a super magnified view of DE. Pretty cool, right? There are two types of DE, regular and food grade. Regular DE can be used in the garden to stop insects and ants from invading your home and garden by literally cutting their little feet and bodies to pieces as they pass over it. DE is almost as hard as a diamond, actually, although to humans, it feels like powder. For use on the body and for consumption, always be certain that you are buying food grade DE. This ensures that it’s been sterilized. 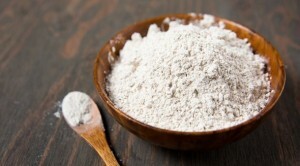 Diatomaceous earth is rich in silica, which is what gives your skin and hair that beautiful shine. It also makes teeth, bones, and nails super hard. Unlike clay, food grade DE can be consumed to work from the inside out to give you beautiful hair and skin. 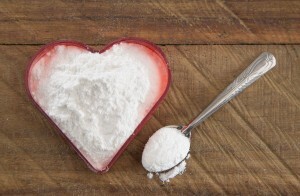 Let’s take a look at the top 10 little known uses for DE and what it can mean to you! Although you might think that baking soda works pretty well to deodorize your fridge, freezer, and trash cans, but wait until you try DE! This must be the most deodorizing substance on the planet! Use it just like you would baking soda and you will notice the difference literally within an hour. This natural product works on just about every crawling insect you can imagine. It’s safe, even if your dog licks it off the floor! You can use a makeup brush to drop it into corners, nooks, and small places you can’t otherwise reach. It kills spider, ticks, cockroaches, fleas, ants, and earwigs, just to name a few. 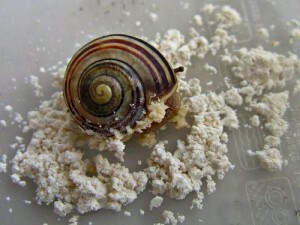 However, unlike other substances, it’s harmless to humans and pets. Keep in mind that DE is very hard, so you only want to use just a sprinkle and only about once per week. However, when you follow this regimen, yellow or coffee stains simply come right off of your teeth, leaving you with a nice, white smile! For a super exfoliant and face mask, you can’t beat DE. This natural substance also has minerals, including magnesium, copper, zinc, and calcium. Your skin absorbs what you put into it, so this is a great way to get some trace minerals, especially magnesium, which is hard to come by. Mix one tablespoon of DE with some honey and a few drops of water to make a terrific face or body scrub. You can even let it sit on your face for 10 or 15 minutes to let it draw out the impurities. Studies have found that women who consume more silica had thicker, stronger hair. Well, who doesn’t want more of that?! Mix one teaspoon of DE (food grade only) in 8 ounces of water and drink about 30 minutes after every meal. To break the life cycle of fleas (because they love to hang out and breed in the garden), as well as kill beetles, squash bugs, slugs, spiders, and other creepy crawlies, you can use child and pet safe DE. Simply dust the plant and ground with DE. Cover for one day so it affects the bugs you want to kill, but doesn’t hurt bees or butterflies. Then uncover and rinse. Repeat every 2 weeks for 2 months to break the life cycle of fleas. Although you can buy products that contain DE, many of those products contain other substances. 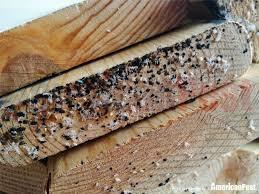 You can try plain DE first, by dusting or blowing it around the frame of the bed and on the mattress. Check out this video for more info on how to use DE effectively. If you are a prepper and you want to protect your stored grain, beans, or seeds from insects, you can safely add some DE (food grade only, of course!) to instantly kill insects who invade your supply. You can also sprinkle it around the area and try to kill them before they ever get to make entry. Studies show that silica is very beneficial to bones, joints, and connective tissue. This would make DE an outstanding addition to any arthritis or osteoporosis treatment plan. Speak with your doctor for the correct dosage for your situation. DE can absorb more than 1.1 times its weight in liquids. 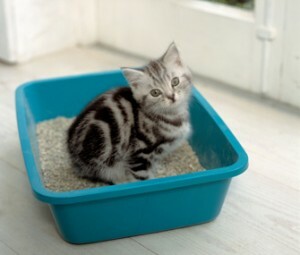 This makes it perfect for your kitty litter box, the bottom of trashcans, even for spills in the kitchen, such as oil. Speaking of oil put a pan of this under your car to absorb all those little leaks and drips cars can leave behind. Regular DE can be dangerous if you breathe in the dust. Actually, any dust can cause breathing problems, so you should always use food grade DE and wear a mask, just to be on the safe side. Otherwise, DE is completely harmless to humans and pets. Do you use DE at your home? Tell us how you like to use it in your neck of the woods. 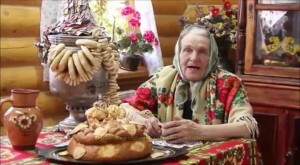 Grandmothers everywhere have been giving us their advice regarding what is good to eat, what isn’t good, what is safe, what will stop stomach aches, headaches, and what will downright kill you. Well, we don’t mean any disrespect, but grandma’s are not always right. In the same way that your grandmother gave you her grandmother’s best biscuit recipe ever, (and we don’t doubt that it is excellent), but some well meaning advice also gets passed down from generation to generation with no questions asked. If grandma said it, it must be true, right? We are going to debunk 10 of the most common old wives tales around so that you can stop cutting the end off of your roasts. 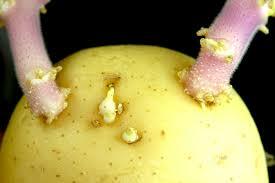 Well, while green potatoes or sprouted potatoes may not kill, they could make you sick. Your potatoes sprout because of the warmth of your home. Exposure to light will hurry the process along and cause the potatoes to make chlorophyll, which is why they look a little green. Now, chlorophyll and solanine can make you pretty sick, so if you see some leaves starting to form or if the potatoes are green, it is best not to eat them to be safe. However, small little “eyes” just starting out should be no problem. Just pop them off and cook as usual. Everyone knows this old saying. An apple a day keeps the doctor away, right? While apples are super nutritious, full of vitamin C and pectin, not to mention being a great source of fiber, we can’t go so far as to say that eating an apple each day will prevent things like diabetes, arthritis, or cancer. 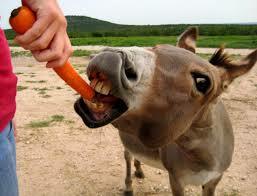 There is no denying that carrots are very good for our eyes, they won’t actually fix vision problems. Carrots are loaded with antioxidants, beta-carotene, and other good things that will help maintain a healthy eye, but true vision problems will need to be corrected with glasses or contacts. Every grandma on the planet has said this at one time or another! We know ours certainly did, but is this true? Despite the annoying sounds, studies have found that those who crack their knuckles, even on a regular basis for decades, found absolutely no difference between knuckle crackers and non-knuckle crackers when it came to arthritis. Take note, however, that this study did find that knuckle crackers had weaker grips later on. This one is actually some darn good advice from grandma, so listen up! 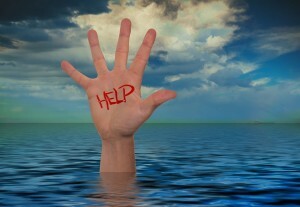 Autopsies on drowning subjects found that a full 80 percent of swimmers still had food in their stomachs. It’s believed that blood is diverted from the legs to the stomach for digestion, causing severe cramps for some persons. Just to be on the safe side, lie back and take a snooze after eating before you hit the pool. While reading in poor light might give you a headache, it won’t cause long lasting damage to the eyes. To avoid eye strain and the headaches it causes, use a good reading light. Grandma’s chicken soup, no matter how good it is, may not “cure” a cold, but it certainly will help the body’s immune system fight it off. Chicken soup reduces inflammation as well, so this is one piece of advice you can take to bed with you next time you catch a cold. Your body removes any waste or toxins via the kidneys and liver, not by sweating. We hate to break it to David Wolfe fans, but the detox craze is just that. A fad. There is no scientific evidence behind it whatsoever. 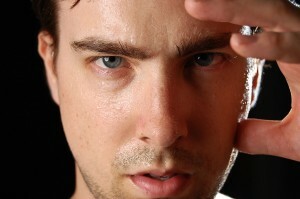 Sweating is your body’s means of cooling itself, nothing more. This is another age old myth that just refuses to die. 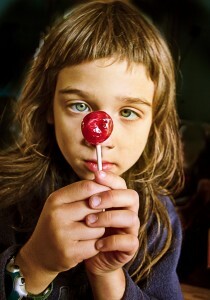 There is absolutely no evidence that kids somehow get “hyped up” on sugar. None. Sorry, grandma, give the kids their suckers, they won’t go crazy, we promise. While this might have been true in the 1950’s and 1960’s, it certainly isn’t true today. Before 1968, televisions released some fairly high energy radiation that probably wasn’t so good for the eyes. 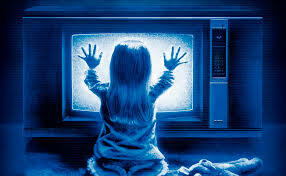 Televisions made after 1970 are perfectly safe, however, so if your kid likes to sit close, it won’t hurt him. That being said, sitting too close to the TV can cause eye strain and headaches, so it’s better to watch it from a reasonable distance. If your child says he can’t see unless he sits close, it’s time to head to the eye doctor for a checkup. Have you heard yet about camel milk? 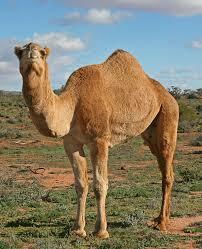 Yes, we mean the camel hump day commercial type desert camel. Apparently it’s the latest health craze and people say that even those allergic to everything can drink camel milk. It’s also reported to cure everything from diabetes, IBS, and autism. 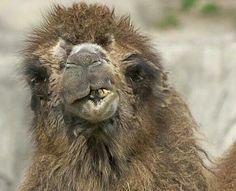 Although it’s hard to understand who, except the starving, would have ever tried to milk a smelly, obnoxious, kicking, grunting, spitting, foul breathed camel, but someone did and now, it’s a thing. Before you plop down your hard earned money for a pint of hump juice, get all the facts. Can Camel Milk Help Diabetics? Well, it’s a big maybe. Although people are claiming that it can, literally, “cure” diabetes, there is no proof. There are a few studies which have found that this type of milk might improve control of blood sugar, but these were just preliminary studies. Another limited study found that camel milk might help those with Type 1 diabetes use less insulin. This study involved only 24 individuals, but it might prove to be a good jumping off point. Further studies are really needed to see how this works and if it can be used to lessen people’s dependence on insulin. Doesn’t Camel Milk Stop or Prevent Allergies? There were even fewer studies done regarding any benefit for allergies, however, these studies were poorly done and of little benefit. There should be better, larger studies coming out in the near future, but as of today, all we have a personal stories about how drinking camel milk helped with food allergies or sensitivities. Can It Help Autistic Children? Again ,this is another big maybe. In one small study, 60 autistic children received raw camel milk for a two week period, 24 children received pasteurized camel milk, and 11 received cow milk. Blood tests showed that both groups of children who received camel milk had less oxidative stress, as well as showing improvement in both cognitive and behavioral tests for autism. This was a very small study, however, and more tests need to be done before anyone can list camel milk as a cure for anything. Now there is some good news to report; camel milk is very high in vitamin C. It is also lower in vitamin A than cow’s milk and appears to be tolerated by those who are lactose intolerant. Camel milk is slightly lower in total fat and saturated fat, however, it still has just as much protein and calories. There are a few interesting facts about camels and camel milk that you might find interesting. 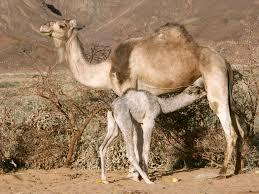 Camel milk, unlike cow’s milk, cannot be made into butter. While it can be made into cheese, it is a difficult process. It also doesn’t curdle like cow’s milk does. The Abu Dhabi Officer’s Club offers camel burgers. They also serve camel milk based cappuccinos, called camelccinos. Bubonic plague has been transmitted to humans by eating camel liver. People in Northern Kenya enjoy drinking camel blood. Some parts of Australia serve Camel lasagna. 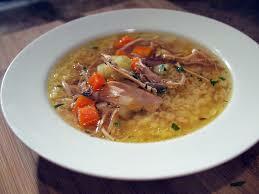 One ancient Roman emperor, Heliogabalus, loved eating the heel of the camel. Oh, and in case you were interested, camel milk appears to come from the type with one hump, not two, although the reasons for this aren’t clear, at least, not to me. The FDA recently approved the sale of camel milk in the US, but with a mere 3,000 camels in the US and imports being tightly restricted, the cost of camel milk is astronomical when compared to cow or goat milk, especially when one considers that there really are no proven benefits.